Creating a wonderful stir online recently is this incredibly evocative image above. 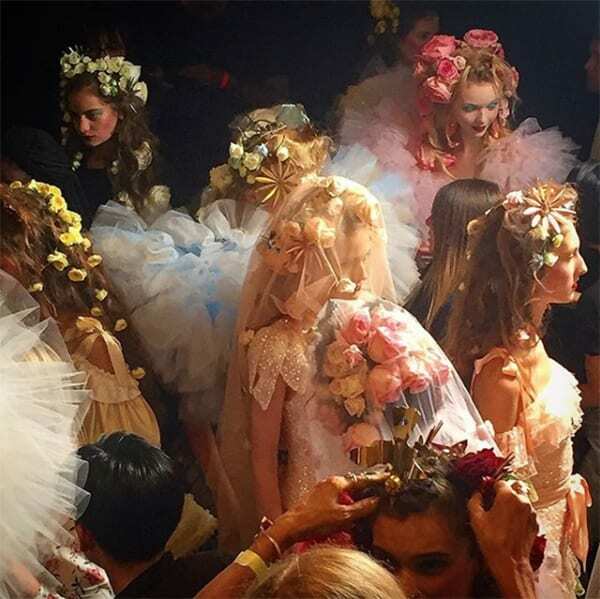 Head over to floral designer Joseph Free’s Instagram account to see yet more behind the scenes photos from New York Fashion Week. P.S. If you’d like to see more stunning floral creations at New York Fashion Week, pop over to Putnam & Putnam’s Instagram account. Free’s floral umbrellas are a work of art in themselves, absolutely beautiful.